But until that happens, we’ve used our pocket tractor beam to draw in the 10 funniest science fiction series out there. (As well, we're using the reverse beam to deflect all opposing views.) These choices are not necessarily meant to be the best of the sci-fi world – although many are – but they’re the series that tend to provoke the most smiles and laughter on an episodic basis. Now grab your favorite towel and read on. 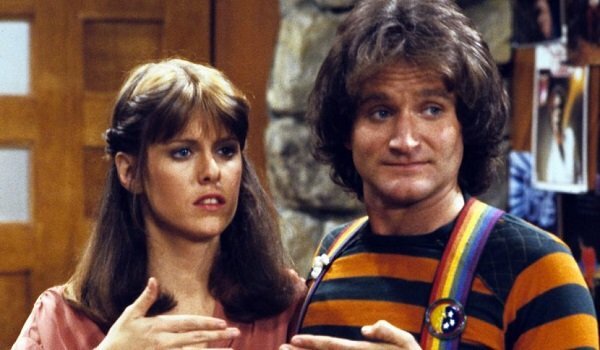 As the breakout role for the always hysterical Robin Williams, Mork & Mindy was definitely one of the more successful sci-fi comedies out there, choosing to shoehorn an alien personality into a standard sitcom rather than throwing sitcom tropes at a sci-fi setting. Sure, it often relied on catchphrases, and its last season was a bit of a mess with the great Jonathan Winters as a big baby, but this Garry Marshall co-creation was anchored by solid jokes, Williams’ otherworldly chemistry with co-star Pam Dawber, and his conversations with his homeworld superior Orson. And yeah, having Tom Poston and Jay Thomas onboard certainly didn’t hurt. 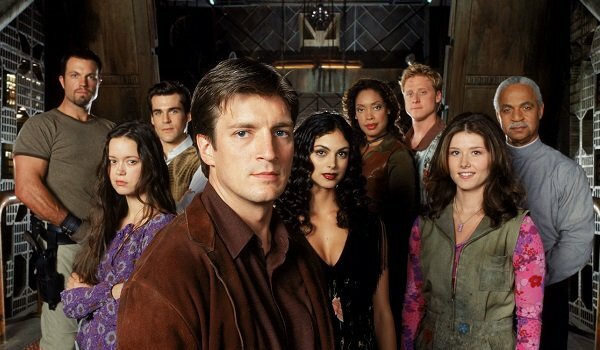 The only action-packed frontier drama on this list, Firefly was as deft a genre-mixer as they come, and with the rare exception, each of the 14 episodes managed to pack in as many laughs as stunts. One would expect nothing less from creator Joss Whedon, who has built a career out of injecting humanized humor into genre programming. Every Firefly character gets their comedic dues, with Nathan Fillion and Adam Baldwin getting the bulk of the gruff chuckles, while Gina Torres and Alan Tudyk could pepper their own personalities with couples-based humor. It was even a treat to make fun of Simon’s frigidness. If you’ll excuse us, we’ll be in our bunk…watching reruns. 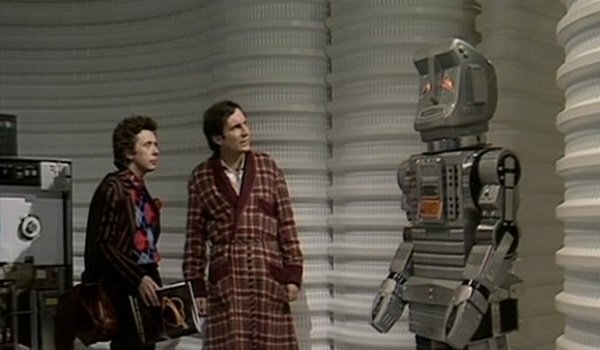 The epitome of comedic science fiction, Douglas Adams’ Hitchhiker’s Guide to the Galaxy novel series’ only foray onto the small screen was the BBC Two adaptation that aired in 1981. And although the show’s aesthetic unwaveringly adheres to the timeframe in which it was made, that’s part of the fun, from the crazy graphics of the Guide itself to the laughable prosthetics of Mark Wing-Davey’s Zaphod Beeblebrox. Through the spirited performances of Simon Jones as Arthur Dent, David Dixon as Ford Prefect and Sandra Dickinson as Trillian, the brilliant absurdity of Adams’ words came to life in a journey through non-stop hilarity. How did this never get a second season? As close to a coming-of-age story as we’re ever going to get about a manic alien school-bound youth who wants to destroy the Earth, Invader Zim is arguably the funniest cartoon that Nickelodeon ever aired, although they balked and ended up canceling it before its second season was finished. The bastards. Much of the show’s adult-ish sensibilities came from creator Jhonen Vasquez, who also created the comics Johnny the Homicidal Maniac and Squee!. 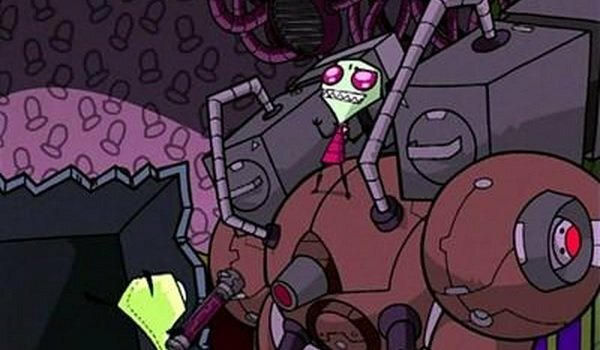 Along with his dimwitted bot servant GIR, the inept Zim is constantly trying to prove his superiority over those around him – often involving food – but it inevitably all ends with hilariously disastrous results. Thankfully, the shortlived show will be back for more lemony fresh victory as a comic this summer. 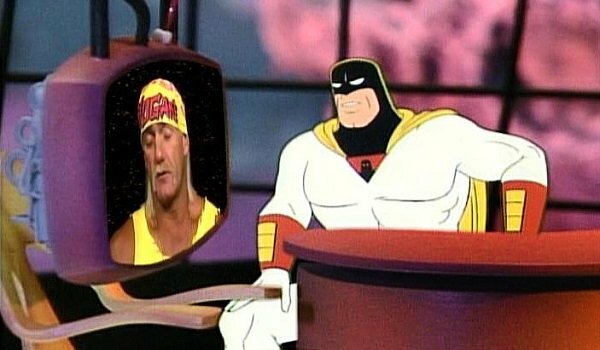 For ten seasons, Cartoon Network’s Space Ghost: Coast to Coast showcased one of the strangest and most consistently surreal formats, as celebrity guests from all walks of media were interviewed talk show-style by 1960s Hanna Barbera superhero Space Ghost, as voiced by the great George Lowe. While the interviews were sometimes vaguely straightforward – though it was never clear just how in on the joke the guests were – many episodes were basically excuses to take stock animation to some very weird places. Plus, any series that features Brak, Zorack and Moltar as co-stars is bound to be an instant classic. The most recent entry on this list, the Yahoo! Screen original Other Space takes no time at all to prove itself worthy of its fellow list entries. Created by Freaks and Geeks brain Paul Feig, this low-key space-trekking comedy follows a group of outcasts whose voyage through a parallel universe is never quite as important as their in-ship arguments and romances. Beyond the core cast of “hey, I know that guy” actors, Other Space also gets Mystery Science Theater 3000’s Joel Hodgson and Trace Beaulieu back to the cosmos. Everything that makes sci-fi fun and chuckle-worthy is in this series. 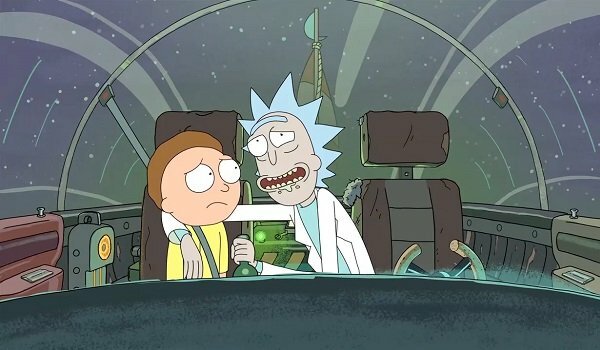 Created by Community’s Dan Harmon and actor Justin Roiland (who plays both the massively intoxicated scientist Rick and his affably impressionable grandson Morty), Rick and Morty is one of Adult Swim’s most coherent series, despite the fact that the first season’s 11 episodes regularly take place in alternate realities, dream sequences and on distant celestial bodies. With enough pop culture references to balance the wackily twisted storylines, this series is routinely unpredictable. And with guest spots from actors like Alfred Molina and David Cross, the show can do no wrong. Now where the hell is Season 2? Even with The Simpsons on the downward slope of its prime in 1999, it didn’t seem like any animated series could stand shoulder to shoulder with it. And there came Fry, Leela, Bender, Zoidberg, the Professor and the rest of the Planet Express crew, to remind us that The Jetsons was definitely not the peak of sci-fi animation. 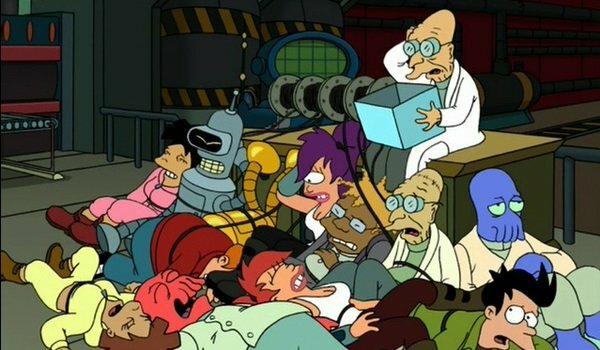 A show that combined genius jokes with dim characters, Futurama often brought the perfect amount of absurdity to every science fiction trope in the book, from parallel universes to time travel to cloning. The fact that “Jurassic Bark” is one of the most depressing cartoons ever doesn’t harm its placing on this list. 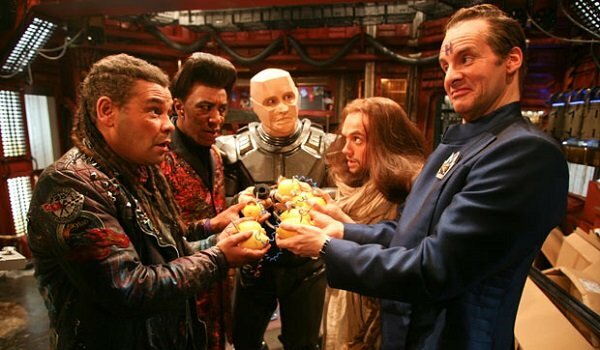 It’s not often that sci-fi series get extended runs, but the British insta-classic Red Dwarf has been making fans roar with intergalactic laughter since 1988, although its ten seasons (61 episodes) got increasingly scattered as time went by. Centering on the motliest of motley crews – including the slovenly Lister, the purr-fect Cat, the self-conscious hologram Rimmer, the droll A.I. Holly, and the lovably obedient Kryten – Red Dwarf bolsters its enjoyable situational plotlines with expertly crafted dialogue and excellent production designs. From stories involving Triplicators to DNA modifiers to discoveries of other ships, there was no circumstance this crew couldn’t take on, and the fact that there’s always a chance for more certainly helps keep the fandom growing. Despite the fact that “plot” doesn’t enter into Mystery Science Theater 3000, or perhaps because of it, this will presumably remain the funniest sci-fi series until the end of time. 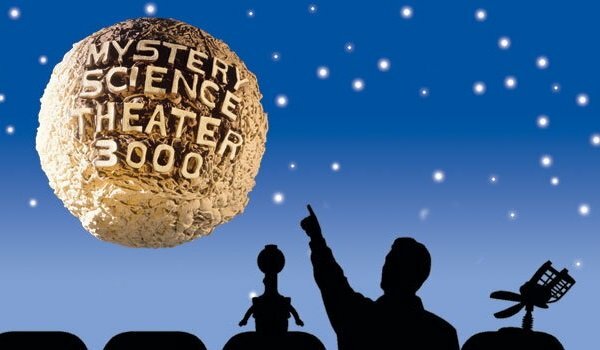 Created by Joel Hodgson – making a second appearance on this list – MST3K developed a massive cult fanbase by making 25-jokes-a-minute fun of B movies from cinema’s past. Even if 15 of those jokes were misses, and that was never the case, you still had rapid-fire wit and deep-cut pop culture references on a seemingly endless scale. The fact that there are 197 episodes is still baffling, and even after it ended, some of the writer/performers created both the similarly formatted RiffTrax and Cinematic Titanic.